Safety is our number 1 priority and it should be yours too! If you don't dive regularly your dive skills get rusty. We want to make sure your dive safety skills are up to date so you are self-reliant and are a good buddy underwater! You will be guided by a dive professional in a group of no more than 4 other checkout divers. Your first dive is "refreshing" your dive skills like regulator recovery, mask clearing, buoyancy, and of course getting your weight dialed in. After your successful checkout dive, you will be ready to join the dive group on your next charter. Why do we have such high safety standards? For your safety, our safety, and the enjoyment of other divers on the charter. Been diving within the past 10 years. 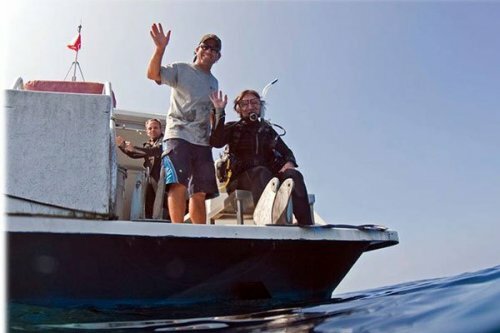 If it has been over 10 years you can take the open water class over or do a PADI ReActivate. You may make changes or cancellations to your reservations up to 48 hours prior to the trip without penalty. Afterward, all changes, cancellations, or no-shows will not be issued a refund unless the space is filled by another diver. If we are able to fill the space a full refund will be issued. If we are unable to fill the space we cannot issue a refund. The only exception to this policy will be if we receive a medical note from a local doctor for a treatment/exam which must have taken place within 48 hours of the check-in time of the missed dive. This does not waive the companion diver or snorkeler.